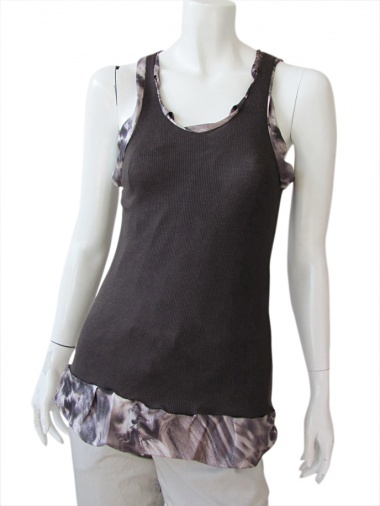 Tank top 100% Silk by Nicolas & Mark - Clothing Women Top On Sale. Round neckline tank top. Its uniqueness lies in its double face: you can take it with a black background with abstract pattern or completely printed for a more unconventional look. Soft and draping neckline and bottom.